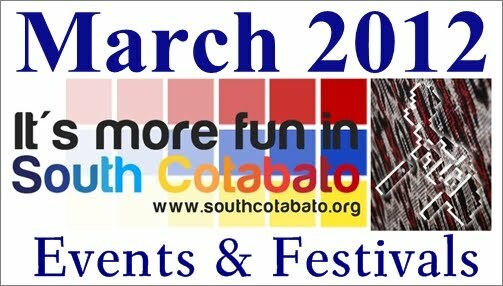 It's the month of March, and fun never stops here in South Cotabato! Here are major events and festivals in South Cotabato you should not miss this month. Amyak Maleh 2012 - As part of the commemoration of the declaration of Mt. Matutum as a protected landscape, the town of Tupi, South Cotabato holds the celebration of AMYAK MALEH, a B'laan words meaning "climb and plant". This year's Amyak Maleh celebration includes activities like the usual climb and planting activities on March 23-25 (click here for the itinerary), the search for the Diwata ng Matutum, the Run for Matutum on March 18 and more.